AgForm-3D state-of-the-art survey and design software is used for independent survey of fields, and creating flat, single and dual slopes, or multi-slopes without leaving the vehicle cab. 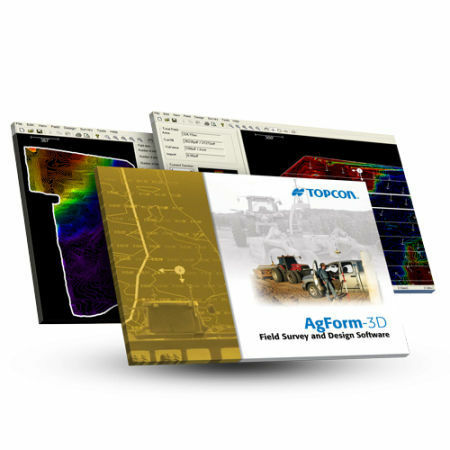 AGForm-3D offers complete control with the ability to survey, design and create plots and reports in a single program. And, with no per-acre fees, it’s a one-time investment that generates rewards immediately. AgForm 3D plots work directly to guide your Topcon 3D landforming solution mounted in single or dual scraper configuration. No other software is needed to perform the entire job.